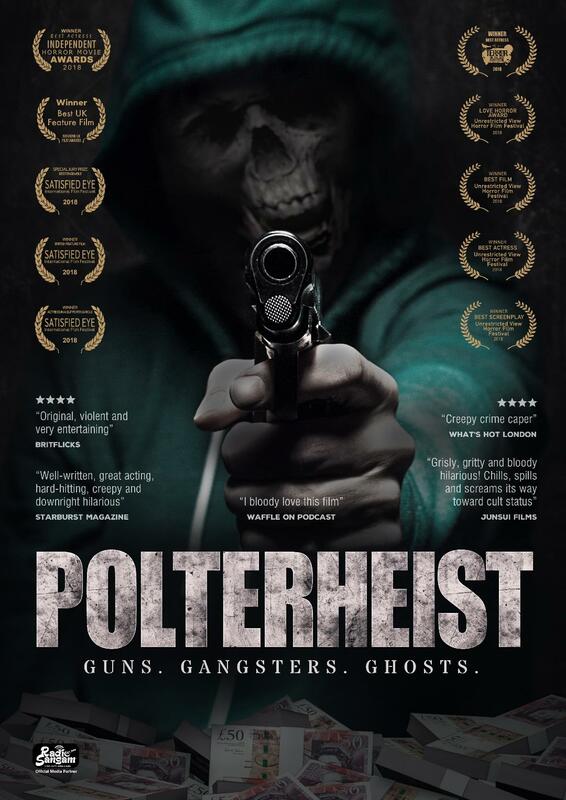 Leeds LitFest & Script Yorkshire present Polterheist, Cert 15. Film, guns, gangsters and ghosts! This ambitious indie film set in Bradford has been sweeping up awards at film festivals all around the country. Eleven to date, and counting. What’s more, it’s made by TWO Script Yorkshire members: Dave Gilbank, Director. And one of its co-writers was the amazingly talented Gemma Head. Sadly Gemma died in October last year. Gemma was an incredible writer with a portfolio of brilliant plays in her own right. She certainly made her mark in this film too, winning a Best Screenplay Award. After the film, Director Dave Gilbank and another of his co-writers Paul Renhard will be doing a Q&A session. A chance to get some insider info and tips on how it’s possible to make a low-budget film in Yorkshire and then win tons of awards! Tickets: £5 Script Yorkshire members, students, unwaged advance / £7 non-members advance /£7 on the door. The evening is run by Script Yorkshire, a voluntary not-for-profit organisation dedicated to supporting scriptwriters across Yorkshire.